To inquire about any of these opportunities, click HERE. Looking around the world, there are many kinds of ministries believers dedicated to sharing God’s grace can do alongside GMI on our established and even potentially new fields. GMI is praying for missionaries from a wide range of backgrounds, ministry abilities, talents, and passions to serve on our existing or new fields to help GMI and the local believers with whom we work evangelize, plant churches, disciple and train others, and otherwise share God’s love in ways we have not yet considered. We want to talk to these potential missionary candidates who have a passion for ministry and are committed to making Christ known throughout the world. GMI missionaries Kennedy and Sofia Simtowe continue to take ministry trips into Mozambique conducting seminars, meeting with church leaders, and sharing the gospel. The church has been registered with the government and they are making contacts and identifying leaders and pastors with whom they will work. Kennedy’s emphasis will be church planting and evangelism. GMI missionaries Givemore and Sylvia Nyakambiri and their family will soon be joining the Simtowes in Mozambique after spending time serving with our team in Malawi. We need more missionaries who can come alongside the churches and believers in Mozambique in order to better equip and provide further biblical and practical ministry education for pastors and church leaders. The GMI ministry in Nicaragua is focused on two areas of the country. GMI missionaries Emiliano and Raquel Seravalli are serving in the town of Nagarote—45 minutes north of the capital, Managua. They have been developing a property which is now the home of their church, Bible school, and ministry outreach. They need others to serve alongside them working with children, youth, and adults in their teaching and discipleship ministry even as they look to eventually expand the work beyond Nagarote into other parts of the country. Matagalpa is a city located in the interior of Nicaragua about two and a half hours north of Managua. GMI missionaries have been involved in training leaders and pastors, evangelism, and church planting. We are also looking for missionaries to work in the areas of church planting, discipleship, teaching, and evangelism as well as ministering to children, youth, and adults. In 2017, our GMI missionary team planted its first church in Ciudad del Este, Paraguay, which sits on the border with Brazil and Argentina.We are looking for even more missionaries to come alongside and complement our GMI missionary team as we strive to plant even more churches throughout the rest of the country, and even into neighboring Argentina and Brazil. We are looking for individuals with a heart to disciple new believers, build relationships, evangelize, and help establish believers into local churches. GMI is committed to working with established churches and ministries in Puerto Rico which share our common vision to evangelize, plant churches, and disciple future leaders in the Body of Christ. Because of this commitment, GMI is actively looking for energetic and motivated missionaries to come alongside affiliated churches and ministries on the island to further facilitate ministry efforts in such areas as: evangelism, youth ministry and outreach, theological training, development of methods for effective church planting, and practical training of Puerto Rican workers in the Body of Christ who will serve both in Puerto Rico and in other parts of the world as fellow missionaries.  Understanding that finding just one person to meet all of these needs would be difficult, we would enjoy talking to anyone who is interested in any one or more of these areas of ministry. The leadership of the Grace Church in Zambia has a vision to plant more churches and to build up leaders within their churches to further grow the ministry there. GMI is looking for missionaries to mentor and encourage pastors both in their practical, day-to-day ministry responsibilities and to help further their understanding of God’s Word and His grace.To help meet this need, one of GMI’s goals is to implement a regional Bible school program (already under development) which will be run by the Grace Church of Zambia. The success of such a program may grow into a theological training institute for both Zambia and for other African countries in the region.